Ardennes-Coticule believes that everyone has the right to sharpen his or her tool perfectly so that every craftsman or craftswoman can do his or her profession, hobby or job perfectly. The Vielsalm Coticule stone is a natural whetstone with a rich past. The extraction and production of the Coticule in the Belgian Ardennes dates back to the 17th century. It is asedimentary rock formed over 480 million years, consisting of grey-yellowish volcanic ash and clay containing hard garnet crystals. The Spessartite garnets are created by a rearrangement of minerals under the influence of regional metamorphosis. Due to a whim of nature, the Coticuleonly occurs in thin, vertical seams, trapped between two thick strata of bluish-purple slate. This means that the stone needs to be extracted meticulously and mostly without using machinery. This extraction is very time-consuming, labour-intensive and expensive work that can only occur a few months per year, due to the influence of all kinds of weather conditions. The production is 100% traditional and makes every stone a unique item. 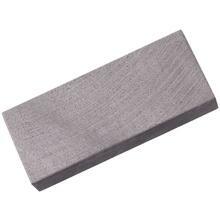 What gives the Belgian whetstones its exceptional sharpening characteristics? 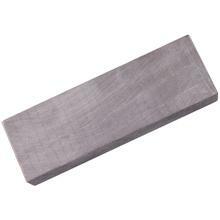 The Belgian Whetstone consists of 30 to 42% garnet crystals bonded together with mica. Thesegarnets are what give the Coticule its exceptional sharpening characteristics. The geometrical shape of these garnets is a dodecahedron. There are twelve surfaces with obtuse angles. The garnets have a diameter of 5 to 15 microns and penetrate 1 to 3 microns into the metal to be sharpened. This ideal geometric shape (obtuse angles polish the metal) and the large numbers of these garnets ensure that the blade is sharpened both very quickly and extremely finely. In just a few minutes, this results in a razor-sharp cut, for any object that is to be sharpened. 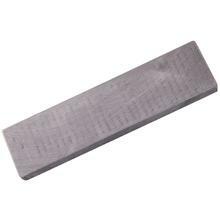 The Belgian whetstone is often compared to a 4000 - 8000 grit whetstone, using the Japanese grit system, but it must be borne in mind that it is a natural product, and therefore no stone is 100% identical to another. The grit rating is given purely for information, and tells you little about the specific characteristics of the stone. 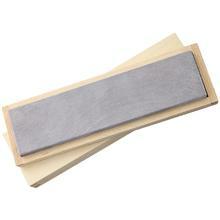 The advantage compared to other whetstones is: A Beglian whetstone sharpens very finely and very quickly. No other whetstone possesses this combination. The hardness of the garnets ensures that they are able to hone any kind of steel, including stainless steel (inter alia, 18/8 and 18/10 stainless), Damascus Steel and HSS High Speed Steel. The geometric shape of the garnets gives the whetstone another unique characteristic. The smooth shape of the garnets means that they sharpen the metal without leaving behind tiny burrs. This results in a fine gleam without scratches on the blade, which makes the knife considerably easier to use. 1. 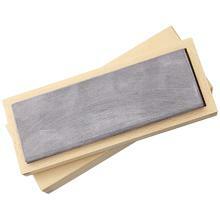 A razor sharpened with a Belgian whetstone does not damage the skin during shaving. The garnets do not leave any tiny burrs on the blade, which is unique to the whetstones! This means that there is no chance of skin irritation! 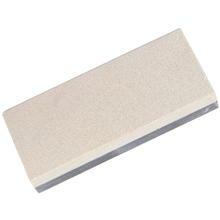 The Belgian whetstone gives a razor-sharp blade and unrivalled comfort during shaving. Without skin irritation, the skin feels very soft after shaving. 2. 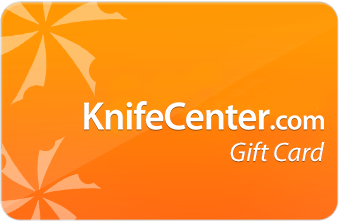 Kitchen knives, hunting and pocket-knives keep their sharp blade for a long time, and can be made razor sharp in the twinkling of an eye. 3. The blade of all kinds of tools such as chisels, gouges and axes is polished so finely that materials like wood fibres are cut through quickly and cleanly, resulting in a smooth finish. There are no nicks in the surface. This is why the stone is sought after by carpenters and sculptors. 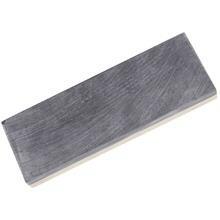 Various fields of application of the Belgian whetstones range from razor blades, all kinds of cook's and kitchen knives, hunting and pocket knives to chopping and cutting tools. Ardennes-Coticule believes that everyone has the right to sharpen his or her tool perfectly so that every craftsman or craftswoman can do his or her profession, hobby or job perfectly. We mean shaving with an open knife, cooking, out-door activities, creating art and objects. Until 1865, the production was done mainly by house labour at local farms; farmers searched and collected the stones from their fields and transformed them into whetstones. The entire family was involved. These whetstones were used to sharpen their razors, knives, scissors, axes, chisels, etc. After 1865 Coticule-stones became famous outside this region. At this moment Mrs. Denise Burton-Walrant lost her husband at a very young age and therefore decided to start a business, named Burton. Her company counted 10 blue-collar workers. She rented fields to collect the stones. Due to her dynamic personality she wanted to expand her business across the borders of Belgium. Until 1900, she was able to sell the whetstones in Belgium, Germany, France, Italy and England. This is highly remarkable, due to the fact that there where almost no possibilities to transport the goods. The only connection with the city of Liège was a railway Liège – Luxemburg with a local train station in Vielsalm. Thanks to her efforts this little village found its most valuable export product, something the inhabitants of the area are very proud of. In 1901 her son took over the business. He constructed the workplace. One of the most important realisations was the installation of the first power plant in the area of Lierneux. This plant produced electricity for public lighting and for the houses of local people but most important to give power to the new, electricity-driven machines in the workplace. The production rose tremendously. Mrs Burton bought small stone-quarries in Regné, Bihain and Their del Preu. 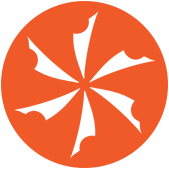 Between WWI and WWII, the company reached one of its peaks. This is when Mrs. Burton-Grandjean managed the business. At this moment, she was able to pay for 20 blue-collar workers in the quarries and 32 in the workplace. Thie company was the main employer of the entire area. In 1954, two brothers and descendants of the family, Prosper and René, took over Burton. They sold whetstones almost all over the world; Europe, USA, Saudi Arabia, Egypt, Congo, India, Mexico, Argentine and Chilli. Not many years later, Burton experienced competition. Electric razors and artificially produced whetstones entered the market. In 1979, René died and Prosper became the only owner. Burton counted only 2 blue-collar workers in the workplace and 2 in the quarry. After Prosper died, in 1982 and 117 years after the family founded the company, the production stopped. Unfortunately they weren’t able to compete with new technologies, such as new razors, and changing life-style habits of families. Furthermore they didn’t find a way to give extra value to their own stones, which would have made it possible to exist next to their competitors. Nevertheless, the reoccurring theme throughout this entire history will be that this family worked very hard to make the Coticule-stone famous so the well-known quality stayed in the collective-mind of lots of people. Four years after the death of Prosper, five geologists/ engineers started again a small production of whetstones during the weekend. One of them is Maurice Celis, the founder of Ardennes-Coticule. In 1998 he decided to continue fulltime alone with the business and just like the Burton-family the recurring theme throughout his career is working very hard to keep the Coticule stone well known around the world and promote its uniqueness. In order to keep the business running he had to come up with a plan to sell other products of the quarry to the industry and consumers. He discovered that the blue layers had almost the same qualities as the yellow Coticule. This is the moment he developed the Belgian Blue Whetstone. Mr. Celis decided to address new potential customers personally, just like Mrs. Denise Burton-Walrant did in 1865. In a next step, he decided to participate on professional fairs in Belgium, Germany, Austria, Switzerland, France and Italy. Mr. Celis had a close personal contact with the end users of the products he sold. He demonstrated how the whetstones should be used and he gave personal advice concerning which stone would be perfect for a specific tool. Targeted audience were and still are straight-razor shavers, wood-carvers, carpenters, leather-workers, butchers, knive-makers, explorers of nature, cooks and everyone who values an artisan natural products. To try to show people the qualities of the whetstones, he asked people if he could sharpen their pocket-knives or to participate in a workshop to learn how to sharpen tools. Maurice Celis efforts paid off. The Coticule and Belgian Blue Whetstones gained more fame but this isn’t where the story ends. Ardennes-Coticule has still many years to go.